We started our work here with the planting of an area, now known as the ‘Cathedral', on a piece of land between the formal gardens and a cut-flower nursery. This area was something of a no man's land in need of a strong design to revive it. The celebrated designer Anouska Hempel, who was living in the house at the time, fulfilled this by creating a framed outdoor dining area of staggering proportions. The design comprised a rectangle of extra mature 6m tall hornbeam block topiary, that enclosed the area, in which a 12m long Belgian bluestone table was centrally placed, surrounded by a casement of yellow catalpa pollards. This remarkable space was created to accommodate a large number of people for numerous events held at the property, and is occasionally covered entirely with a marquee for special events. 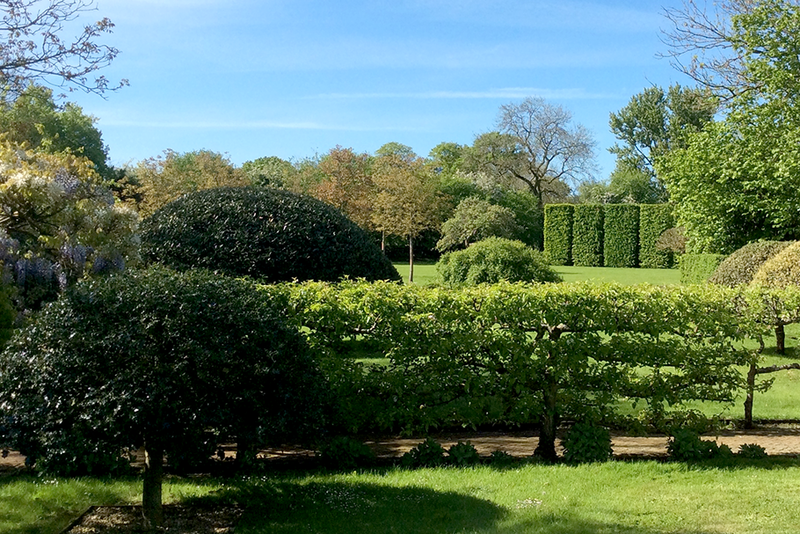 Other work carried out on the estate has included topiary clipping and treatment of box blight, the forming and restoration of chestnut avenue wings, and the planting of a catalpa walk and circle of mature walnut trees.